A computer with an Android emulator and Wireshark. First, to prepare an Android emulator connected to ADB. Then, to observe network transmissions from an insecure app, and prove that they are not encrypted. I notified the developer about serious security flaws in 2016 and got no response. Nothing was ever fixed. It's obvious that they don't care. On your Android device, in Google Play, find and install the app, as shown below. Launch the app. Click "Create Account". Fill in the form, as shown below, but don't click the "Sign Up" button yet. 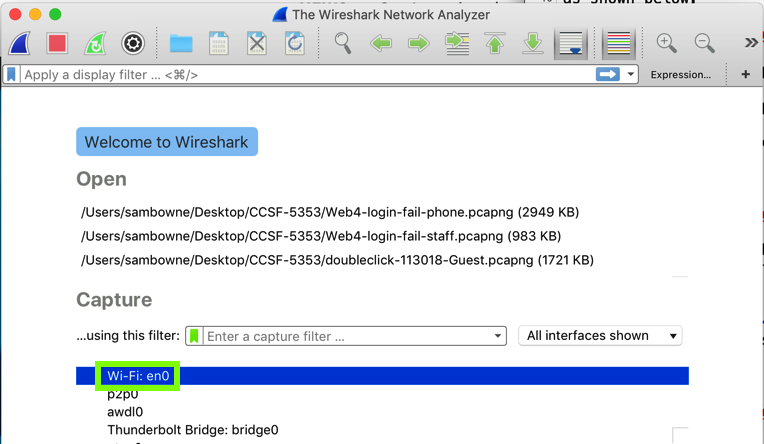 In the main Wireshark window, double-click the network interface that is being used to reach the Internet. On my system, it is "Wi-Fi: en0", outlined in green in the image below. Press Enter to filter the traffic. 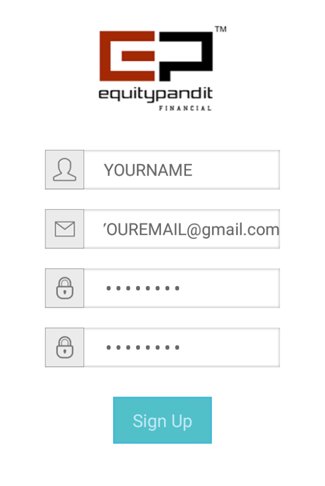 On your Android device, in EquityPandit, click the "Sign Up" button. In Wireshark, two POST requests appear, as shown below. Right-click the second POST request, the one calling "add_user.php", and click Follow, "TCP Stream". The request appears, as shown below, containing your username and password in plaintext. The flag value is the portion of the request covered by a green rectangle in the image above. To record your success, email that flag to us as shown at the bottom of this page. Execute a login request. The flag is the domain name of the server it sends a POST request to. Use the same app: A30.2.apk. Explore the app and find the second flag. Execute a login request. The flag is the domain name of the server it attempts to connects to. 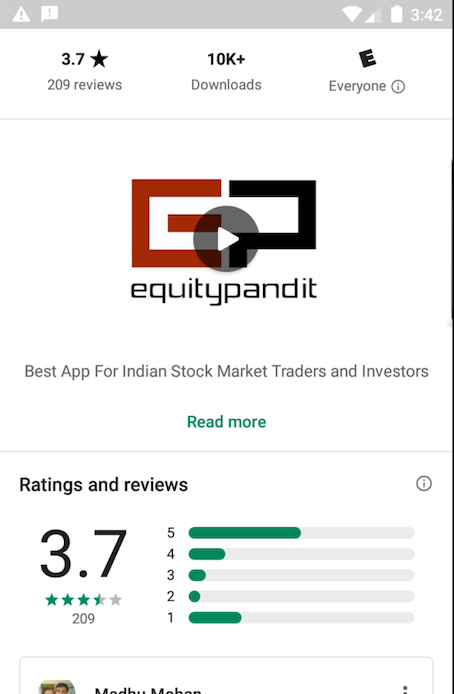 Use the original EquityPandit app. Create an account and log in. From Kali, find your Android device with the netdiscover command. Connect to it with adb connect. Find the locally stored copy of your password. The name of the file containing it is the flag. 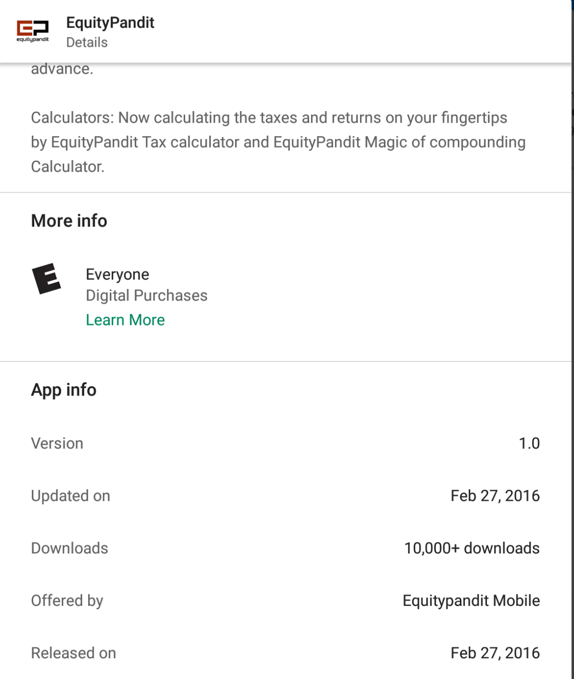 Use the original EquityPandit app. Create an account, if necessary, and log in. 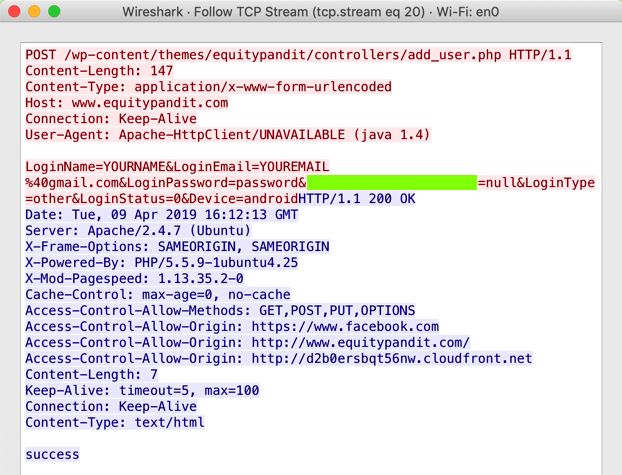 Find your password in the log, as shown below. The flag is the word covered by a green box in the image below. Steal my password from the server. My password is the flag. Note: I gave you permission to steal that password; don't steal other passwords without permission.